Unique and unparalleled! 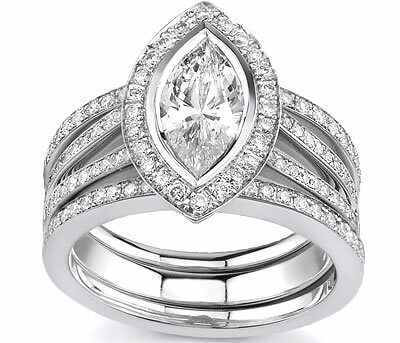 This 14k white gold ring with marquise shaped diamond and split-shank bridal set includes two matching diamond bands to complete this gorgeous ring. Side stones are all high quality to make this ring sparkle. Beautiful!